The Molly Marie Prospect is a group of 20 contiguous mining claims located in Maricopa County, Arizona. This website describes the exceptional geologic features of the Prospect that include a cluster of gold-rich VMS ore deposits located in a previously unrecognized submarine caldera. A “missing” mining district, The Peralta Mines. 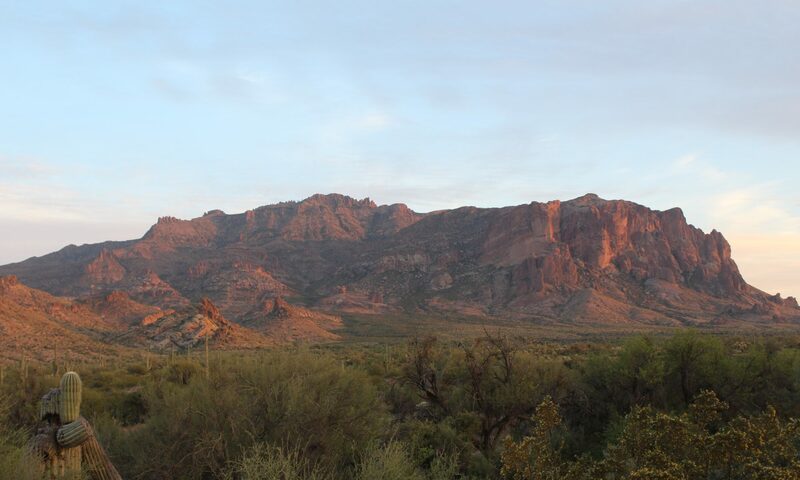 The location of these legendary mines has commonly been thought to be deep inside the Superstition Wilderness area, but it’s just outside its boundaries. The geology of the District shown within proves the existence of numerous VMS deposits, but proving that the District was mined by the Spanish and Mexicans (also shown within), demonstrates that the VMS deposits are the most sought-after kind……….the gold-rich ones. The infrastructure of the historic District and the potential for great wealth left to be unearthed is shown within. After 15 years of study and fieldwork, there is now enough evidence to present the mines that used to be, and where new mines could be. Select any of the pages in the menu to begin……..